Luckey was born and raised in Billings, Montana. He served in the United States Air Force during the Korean War. He later served as a graphics specialist with the NATO Allied Occupation Forces in Europe and North Africa from 1953 to 1954 and, finally, with the Strategic Air Command from 1954-'57. Luckey also worked with animator Alex Anderson, who created the characters of Rocky the Flying Squirrel, Bullwinkle, and Dudley Do-Right. 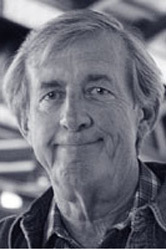 Luckey wrote and animated many short films for Sesame Street and the Children's Television Workshop during the 1970s. 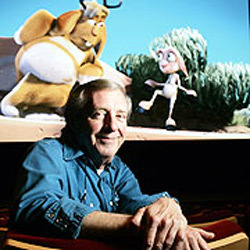 Bud Luckey founded his own animation studio, The Luckey-Zamora Picture Moving Company, in the early 70's and merged its operation with Colossal Pictures in the late 80's before joining Pixar in 1992. Initially Luckey's studio was in his family's home, until it outgrew that small townhouse and turned into Bud's own mini ‘house’ in the back yard where he worked long hours. The company then took studio space in the Produce District of San Francisco. In the 1970s and 80's it was the largest animation studio in the San Francisco bay area. His film credits include the 1974 animated feature The Extraordinary Adventures of the Mouse and His Child. He worked on a 1990 television special, Betty Boop's Hollywood Mystery, and did character design for Back to the Future: The Animated Series from 1991 to 1992. 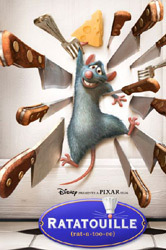 Luckey joined Pixar in 1990 as a character designer, story board artist and animator for Toy Story. He was Pixar's fifth artist/animator. John Lasseter credits Bud Luckey with the creation and design of the star of Toy Story, Woody. Originally the character was a ventriloquist's dummy but he evolved into a talking doll with a pull string and a gun-less holster. In 2003 Luckey gained attention for the short film Boundin', which was the opening cartoon for The Incredibles. It was nominated for an Academy Award for Best Animated Short in 2003. Luckey wrote and designed the short, composed the music and lyrics, sang and performed banjo on the soundtrack for the cartoon. Boundin' won the ASIFA Hollywood Annie Award that same year. Also, in The Incredibles, Bud Luckey voiced the government agent Rick Dicker. Luckey has designed and illustrated more than 100 children's books containing his characters, recently including the Golden Book Mater and the Ghostlight featuring the Cars character 'Mater'. ‘A jackalope is a mythical beast that is half-rabbit, half-deer and features in Boundin'. So, do you believe they exist?’ asked an interviewer from the BBC.